With 2019 under way, now is the perfect time to set some health and fitness goals for the new year. For myself in the new year, I’m striving to lose another five pounds, get more toned and continue making smart food choices. 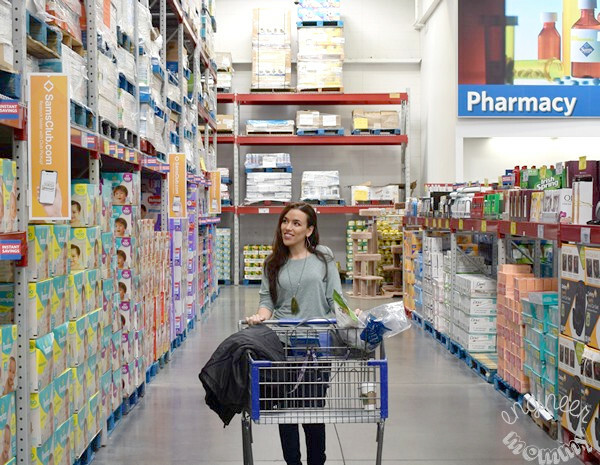 When it comes to keeping my household stocked with the products I need for a healthy lifestyle, I find that Sam’s Club offers the perfect one-stop-shopping experience for my busy lifestyle. 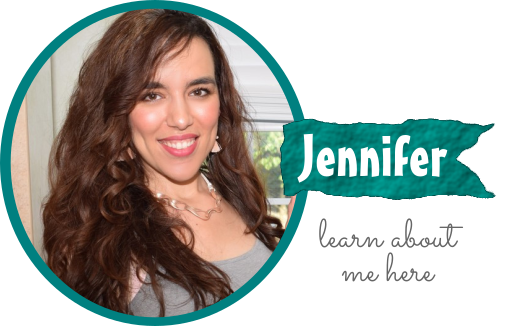 I can always find a wide variety of organic nutritious foods, cute activewear options and the vitamins/supplements my family needs… all at awesome values! Today I’ll be sharing why I’m loving my Sam’s Club membership and why you should consider getting one, too! 1. Take advantage of Club Pickup! I personally love browsing the aisles of Sam’s Club. However, when I’m in a rush or dealing with a sick kid, I like to take advantage of the Club Pickup service. I can simply place my order online, pull into their pick-up area, and a Sam’s Club employee will load everything into my car. 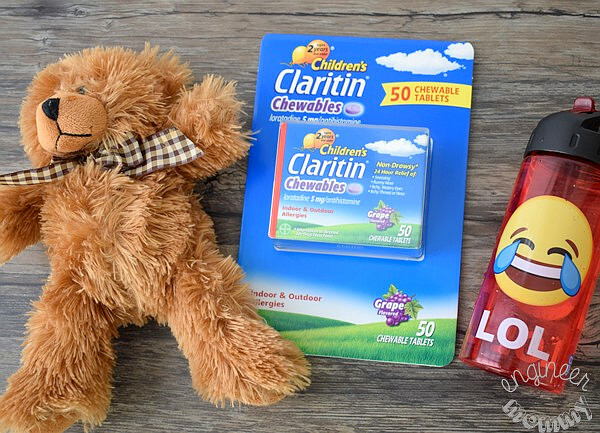 I don’t have to spend time picking up items or bringing a sick kid through all the aisles. I can order almost anything online via the Club Pickup service… from produce and meat to apparel and paper towels. The convenience of Club Pickup frees up more time in my day so I can catch that cycling class or have a calming yoga session. 2. 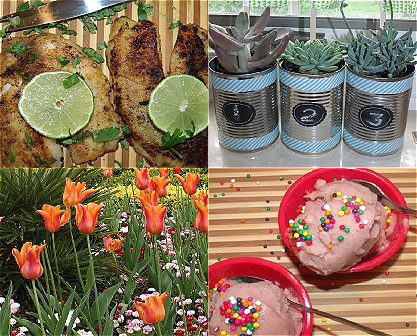 Get wholesale prices on your favorite brands! Whether you’re looking for your favorite coffee brand or a trendy workout outfit, Sam’s Club is the place to go! I have found so many of my favorite brands at wholesale prices at Sam’s Club. By purchasing items in bulk, I can save money every week. 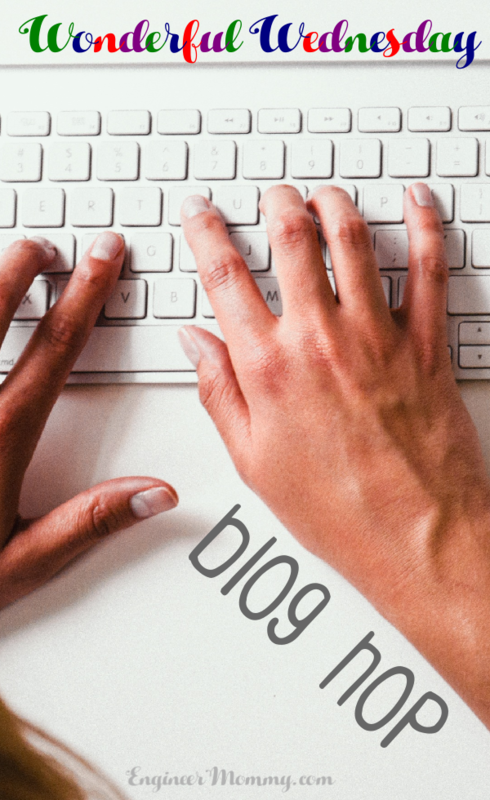 Have you ever heard of the Scan & Go feature? With this feature, you can scan items as you shop, pay right from your smart phone and skip the checkout line in the club. 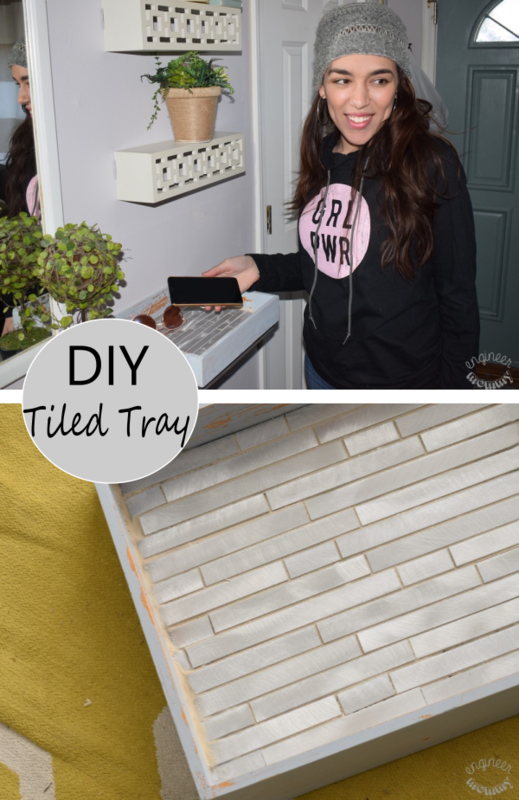 This is such a time-saving feature – download the app here! Another thing I love about Sam’s Club is the fact that I never need to clip anything from a sales circular. Instant Savings are automatically loaded to my membership card. 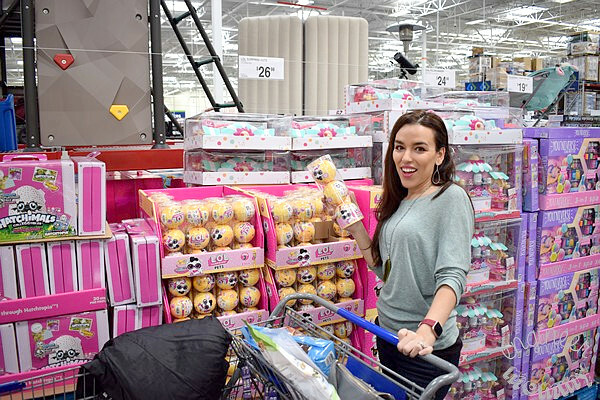 From brand name fitness trackers to brand-name collectible toys, Sam’s Club is the place to go! 3. Find awesome workout gear! 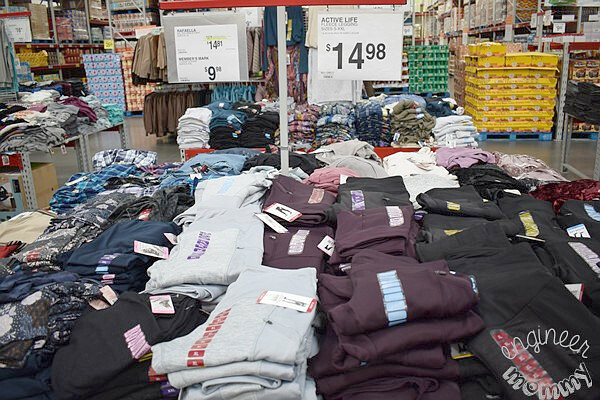 During a recent trip to Sam’s Club, I was pretty impressed by their selection of trendy activewear apparel. I spotted these brand-named, fleece-lined workout leggings and had to pick up a pair. Check out the great price! With the New Year upon us, many of us begin a workout routine – don’t underestimate the power of a fabulous activewear wardrobe! I also picked up this lavender velvet vest from Sam’s Club. Can you believe both the leggings and vest are from Sam’s Club? Stylish, comfortable and totally affordable! Perfect for my jogs around the neighborhood on cold mornings! 4. Snag great value on bulk portions of chicken, steak and salmon! Are you trying to eat healthier in 2019? When you buy Club Packs of chicken, USDA choice beef, wild salmon and a wide variety of organic produce, you are getting a great deal! I can say from personal experience that Sam’s Club products are always a better value when compared to local supermarkets. I routinely purchase large amounts of salmon from Sam’s Club. 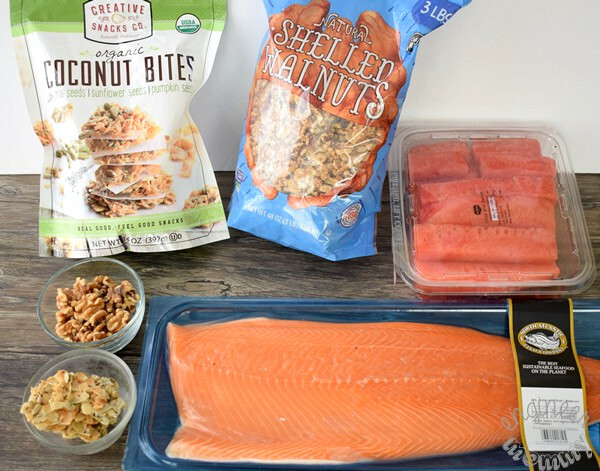 Check out this haul of salmon, walnuts, coconut clusters, and fruits – all superfoods that I like to stock up on! 5. Stretch your dollar further with gift cards! Gift cards offered at Sam’s Club are typically sold for 20% off the retail value. By purchasing just a handful of gift cards, you can more than make up for your Sam’s Club membership. Look for gift cards to major chain restaurants, such as Papa John’s, Boston Market and more. Just think… with the money you save on gift card purchases, you can get some new exercise gear like a treadmill or fitness tracker. 6. Use the pharmacy and optical services! Whether you need an over-the-counter remedy or regularly fill a prescription drug, the Sam’s Club pharmacy has you covered. In fact, there are over 600 generic prescriptions for $10 or less. I regularly take a multi-vitamin, but I also take extra Vitamin D and Omega-3 supplements. I pick up all my vitamins & supplements from Sam’s Club. My younger daughter takes an allergy medication regularly and the value on this pack from Sam’s Club is unbeatable! 7. Get your car serviced while you shop! In January, temps here in the Northeast can be frigid – I don’t want to find myself stranded on the side of the road so I make sure I keep my car maintained. I love that a Sam’s Club membership includes free flat tire repair, battery testing and wiper blade installation. Sam’s Club offers tires from many brands, including Goodyear, Pirelli and more – they recently added eight more tires to their lineup! Last winter, we purchased tires for our vehicle from Sam’s Club before and had a wonderful experience. In fact, one of the most convenient parts of the whole process is the fact that while the technicians are working on our car, we were able to browse the store and get some shopping done! So what are you waiting for? Want to check out Sam’s Club for yourself? Join today and take advantage of all the perks of membership! Start 2019 right! Learn more about a Sam’s Club membership today! Are you a Sam’s Club member? How are you going to make 2019 the best year ever? I love Sam’s Club and I’ve been a member for over 20 years. I recently downloaded the app where I can scan and check out on my phone when I’m done shopping. I love it! The nearest Sams club is over an hour away now from us. They closed down a bunch. There are good buys. Oh my gosh! I love the gift card tip. I have a hard time justifying purchasing a membership to save a few dollars each week. But, my kids are grown. Gift cards are their favorite. Thanks for the tip! We used to be Sam’s Club members when we had one nearby. I liked it! Plus they had a military discount, so that was nice. If they open one near me in Texas, I’ll join again. oh my gosh yes- we have a sams and a costcp near us but i love just the prices of sams club more than costco ha they have such options that my family enjoys more! so glad you shared some great reasons too- esp that military discount! I belong to 3 warehouse clubs and Sam’s is one of them. A friend told me about the app and I am itching to go back and try it. We used to belong to Sam’s but the store near us recently closed. I need to locate a new location! Gift cards can be purchased at 20% of their face value? That alone is a great reason to shop at Sam’s Club! Club Pickup would definitely be a bonus. We also have a Sams card. My husband is a youth pastor so it really comes in handy to be able to buy stuff in bulk for the church (and home). We joined Sam’s Club last year and we love it! I don’t go as often as I’d like since we moved farther away from it, but it’s worth the drive for most of the things we buy in bulk. Our local Sams Club has the friendliest staff. Always willing to help you find what you are looking for. The meat department rocks, too. Sam’s Club has a lot of advantages! I love to shop in stores where I can find everything I need in one place! I should visit it soon! Heard all about the savings that you could enjoy from being a Sam’s Club member. We’ll look into being a member soon. My family has been members for twenty five years!!!! I just got my card in 2016 when I took my Mom’s slot after her passing. I love the selection of products and it is the ONLY PLACE I buy my salad mix! I LOVE shopping at Sam’s Club! 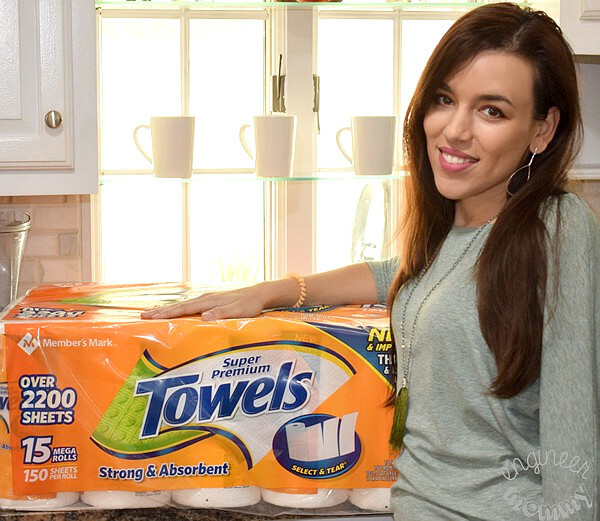 I love stocking up on items like paper towels and toilet paper and they have the BEST workout clothes! I love shopping at warehouse clubs. You get some great deals on essentials. We always buy paper towels at Sam’s. I don’t have Sam’s Club membership but a friend of mine has been encouraging me. She said she saves a lot buying their stuff there. 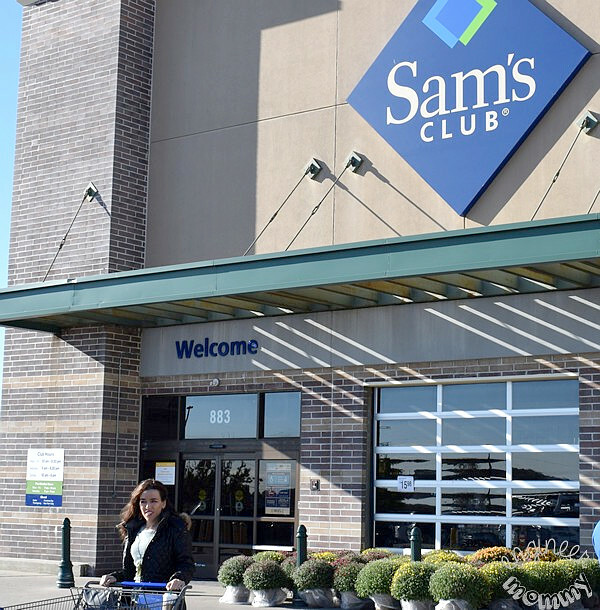 We used to be Sam’s Clubs members, but our store changed location. It became too much of a drive to go there since we also had a membership at another wholesale store. However, they had a lot of good deals and food that we enjoyed.